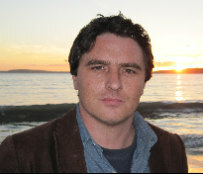 Ciarán Collins is an Irish author who was born in Cork in 1977. He grew up in the village of Innishannon, Co. Cork. He studied English and Irish at University College, Cork and completed an MA in 2001, specialising in modern drama, especially the work of Tom Murphy, Brian Friel, Eugene O’Neill, Arthur Miller, David Mamet and Marsha Norman. The Gamal is his first novel and is published by Bloomsbury Circus, an imprint of Bloomsbury. Before writing The Gamal he had written a couple of plays and some short stories. He is currently working on his second novel, another play, a screenplay and writes an occasional short story. He won the Rooney Prize for Irish Literature in 2013 for The Gamal and Le Prix Des Lecteurs Escpades, France in 2017. He is currently working on his second novel.